and a happy Manic Monday to all! 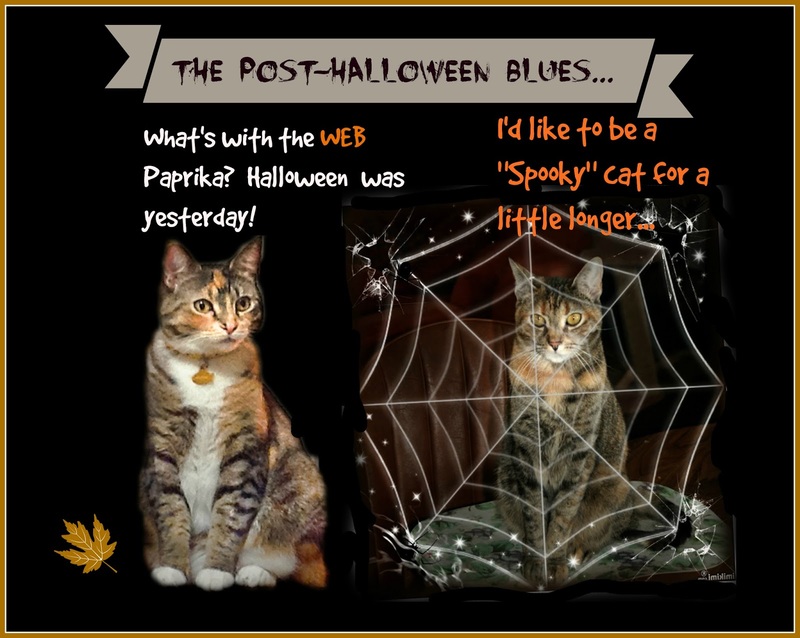 We love your spider's web Paprika. you ARE very cute Paprika! Nah, we're kinda glad Halloween is over because now the mom won't try to make us were silly costumes and hats. And...you know what comes next! A tree in the house! 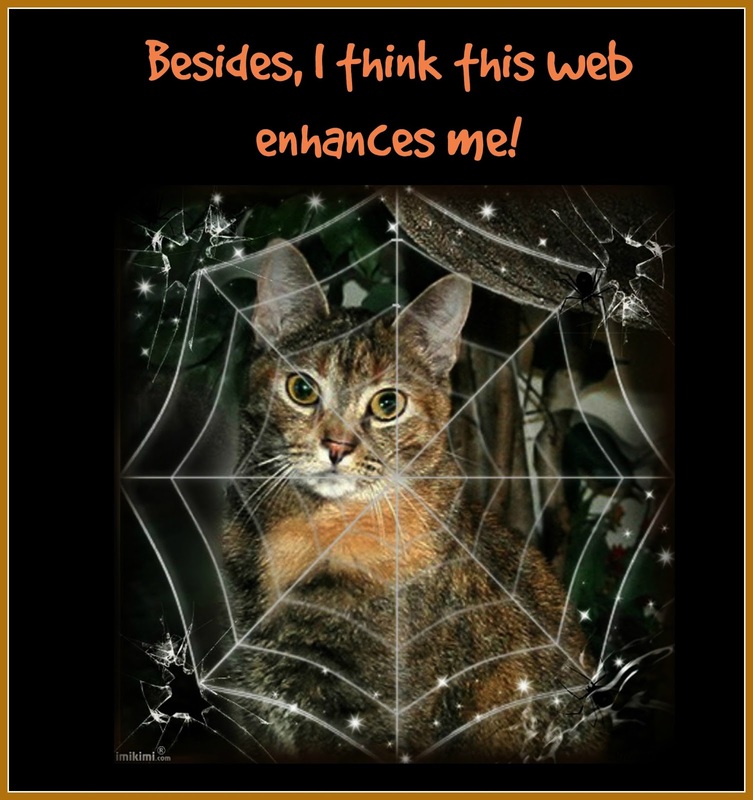 Paprika you do indeed look spooky in your web. We love your graphics!!! You look very cute and spooky in your web, Paprika. I missed Halloween because my humans had deserted me to go gallivanting. They are back now so I am free again. You certainly do look cute in your web...much cuter than a nasty spider!!! Aaaaaaaw y'all look weally cute. That looks so cute. It's very creative. Thank you so much for visiting our blog and for your nice comment about our book. We appreciate it so much.